Living in London you’d think we would make it to the theatre often, right? But like with anything you live close to, we don’t get there nearly enough! It’s a shame as the West End has so many great theatres and excellent shows. 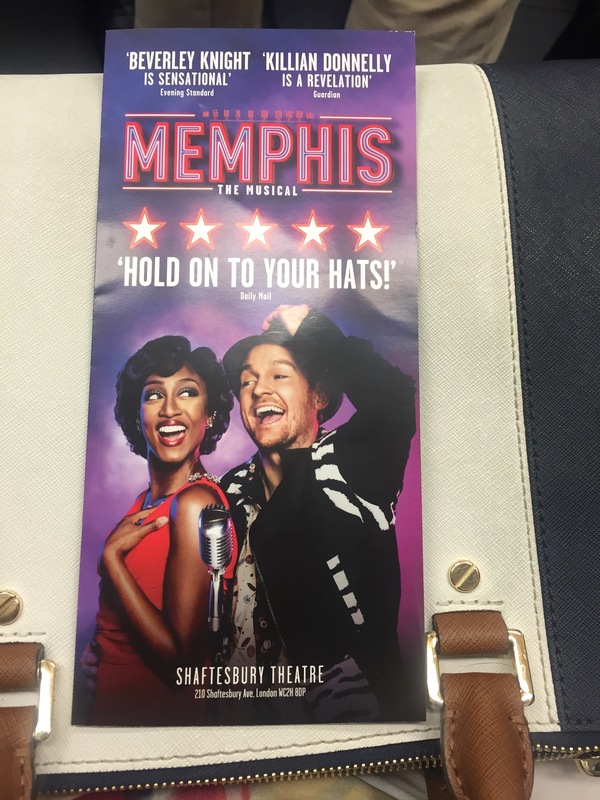 On Monday we were lucky enough to be given tickets to go and see Memphis the Musical at the Shaftesbury Theatre and it was a reminder as to why we need to take a trip to West End theatres more often. Situated on Shaftesbury Avenue in between Tottenham Court Road and Holborn tube stations, the Shaftesbury Theatre is a beautiful piece of architecture. 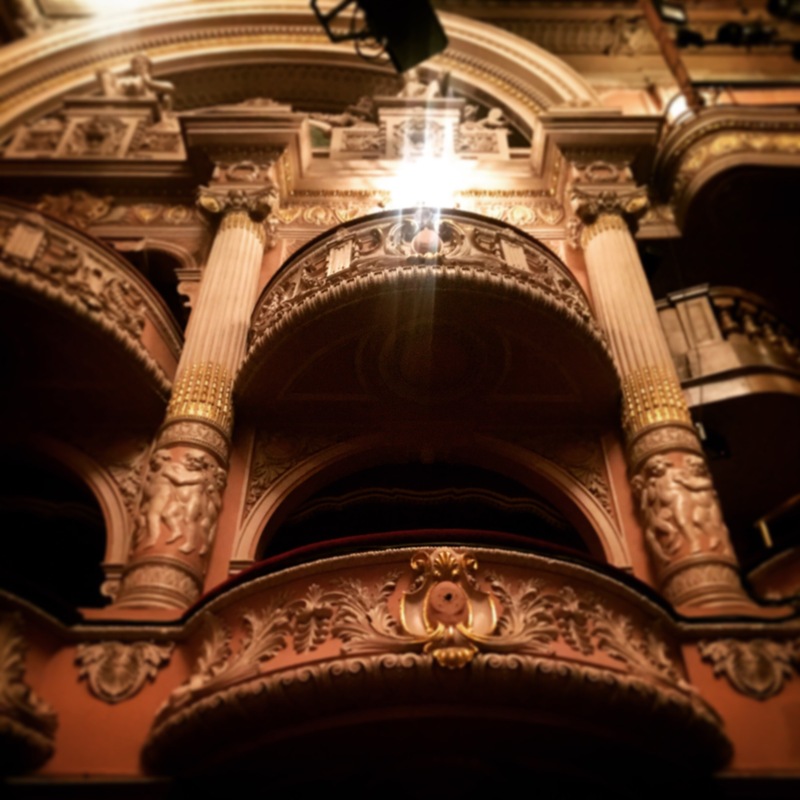 Like most West End theatres, it has wonderful, ornate decor and although it must have been decorated many times over the years, it has never lost its character. If you ignored the electrical equipment, you could be watching a performance in any decade. Memphis the Musical tells the story of Felicia Farrell, an aspiring black R&B and soul singer who performs in her brother’s underground nightclub, and Huey Calhoun, a white wannabe DJ who has dreams of bringing soul and R&B music to the mainstream of American popular culture, at a time when it is really only the marginalised and segregated African American communities listening to what is considered ‘black music’. The pair form a forbidden friendship in 1950’s Memphis, Tennessee which leads to love. The story follows the turmoil in the couple’s relationship as they struggle with the narrow minded attitudes of the time, and tracks the highs and lows of their careers. The performance truly was amazing. There’s something very special about seeing a whole cast of such talented musicians and actors all on stage at once. The acting was brilliant but so too were their wonderful voices which filled the theatre with soulful tunes. The part of Felicia Farrell has, in the most part been played by Beverley Knight but we were honoured to see her understudy Rachel John perform. She played the part perfectly and really made the audience feel like they were back in the underground club scene of 1950’s Memphis with her amazing voice. Huey Calhoun was played by Killian Donnelly. His portrayal really brought out the humour of his character and there was something very reminiscent of the late Robin Williams about him. By the end of the show, Rachel, Killian and their supporting stuff had the entire audience smiling. Despite the very serious and sad story of life in the 1950’s southern states of America, the music brought to life the vibrancy of what was a very exciting era for social change and popular culture. For all the lows of discrimination, it felt like a change may just finally happen. We were lucky to have excellent seats for the performance in row E so just five rows from the front. This meant we got a pretty great view of all of the sets and they were amazing. From the department store to the DJ booth, all of the sets were so well designed and the changes seamlessly put together. It was all so well done that we barely noticed it change from one scene to the next. The attention to the small details both in set design and costume also helped to give the entire show a really authentic, 1950’s feel. Would I recommend the show? Memphis was such a great show that I already have recommended it to my parents who will be visiting London to cat sit for us in a fortnight. It is just the kind of thing they would love. It’s a show that crosses generations. Although my husband and I are in our 30s, there were people there from their early 20s right through to their 70s. 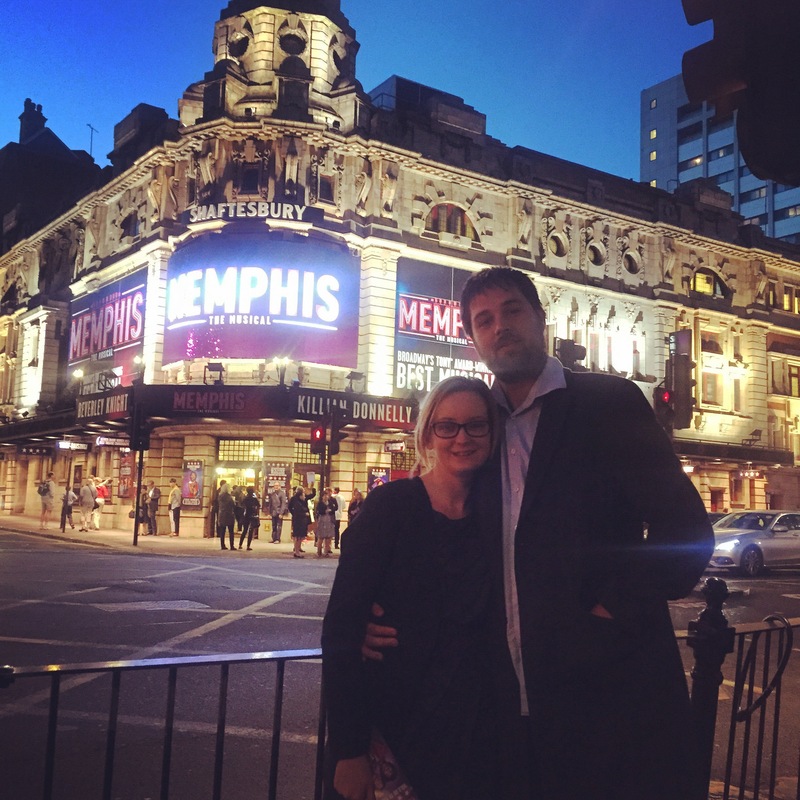 If you are in London, have an evening free and want to see a show with plenty of laughs but which tackles a serious subject matter, definitely check out Memphis. 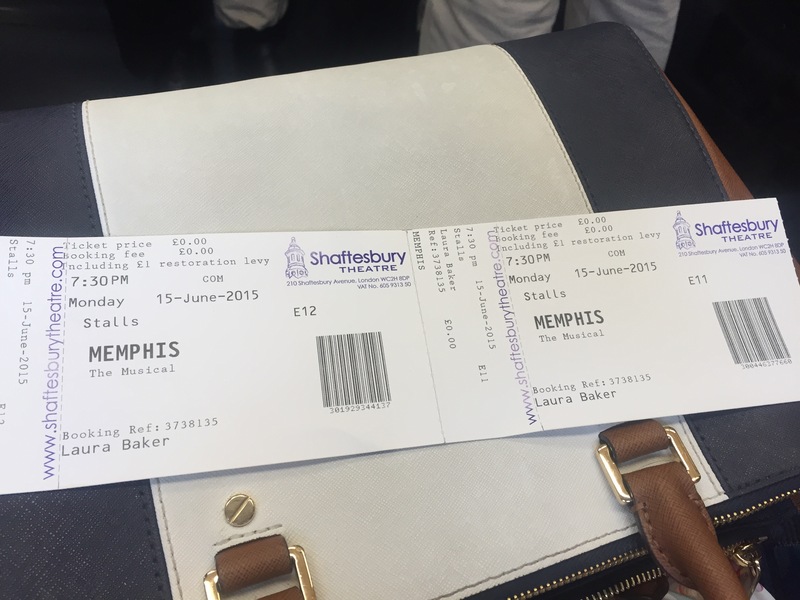 Memphis the musical takes place at the Shaftesbury Theatre, 210 Shaftebury Avenue, London WC2H 8DP. Tickets are priced at between £20 and £67.50. For more information or to book tickets visit the Memphis the Musical website.